Perhaps irregular CO2 geyser activity, similar to the tiger stripe region on Enceladus. Does this phenom. continue sporadically in the same region/latitude? 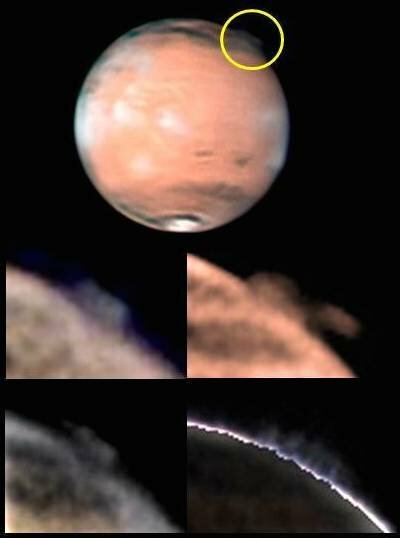 Possible Meteorite Impacts, which may be verified by the "Armada" of satellites orbiting Mars. Or meteorite explosion in altitude. ?? I believe the plume may be evidence of a long continuing war on mars. A Nuclear Blast would cause such a dust plume!